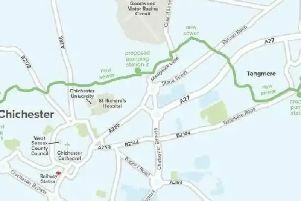 Linear park proposals will be put to the people of Bognor at a special meeting. A petition has also been started calling on Arun District Council to put a halt to its plans for the Hothampton site. Bognor town councillor Matt Stanley said: “We have repeatedly called for greater public consultation, as well as responses to the community’s concerns about this project. Mr Stanley, who is also a district councillor, said he thinks the regeneration of Bognor ‘has to work for the community’. The meeting will take place at the Jeneses Centre in Linden Road on June 21. This independent move from the Lib Dems comes after the town council voted to explore how best to consult residents on regeneration. Click here to read more about that meeting.